Rochester, NY is a keen example of a mid-sized city that can help make meetings magical. The Greater Rochester region is home to 18 college and universities, so conference organizers are rarely at a loss when it comes to finding high-quality speakers and subject matter experts in a number of fields, including science, engineering, optics/photonics, medicine, agriculture and more. Enjoy the ease and convenience of getting around a mid-sized city like Rochester. 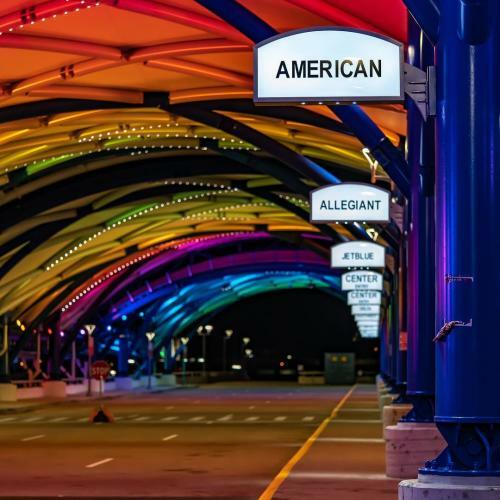 The newly renovated Greater Rochester International Airport is just a 10-minute drive from downtown, and traffic and long lines at the airport are virtually never a problem. Most Rochester hotels also provide complimentary airport/train transfer services. The many art galleries, cultural institutions and museums that call Rochester home have helped the city gain recognition on a national level for its commitment to the arts. The National Center for Art Research recently named Rochester the 17th most arts-vibrant city in the country, on the same list as major metropolitans like NYC, Chicago, Los Angeles, etc. Institutions like The Strong National Museum of Play, which is home to the Toy Hall of Fame, the George Eastman Museum, Memorial Art Gallery keep visitors returning to Rochester. History lovers will enjoy a visit to the National Susan B. Anthony Museum & House, home to Susan B. Anthony during her 40 most politically active years, as well as Genesee Country Village & Museum, a 19th century brought to life at New York’s largest living history museum – and the third largest living history museum in the country. In addition to unique experiences and venues for groups, conferences and conventions meeting in Rochester will receive the complete attention of Visit Rochester’s convention sales and services team. All services provided regularly exceed expectations and are personalized/tailored for each group. Groups receive personalized services from the moment they book until after the group leaves town. In addition, the Rochester hospitality community is very collaborative, with the CVB, hotels, attractions and restaurants working hand-in-hand to deliver a memorable experience for meeting groups and guests. With its exploding food scene, museums, outdoor recreation, affordability and much more, there is no limit to what you will discover when you meet in Rochester.